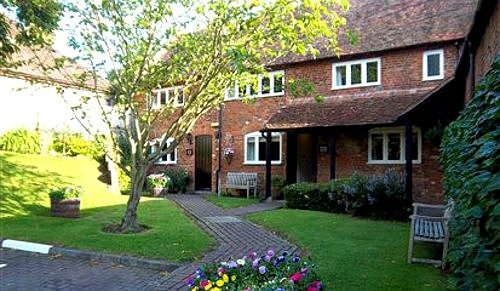 Compare and choose from our selection of B&Bs and boutique hotels in Kent. Options range from small independent hotels to family-run guest houses. 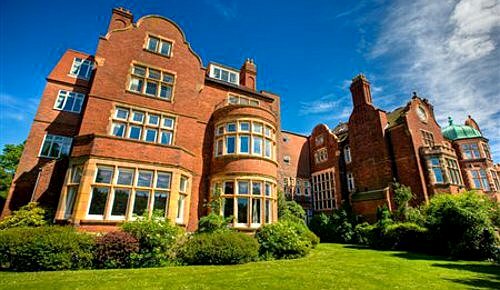 All accommodation offers a comfy bed, a prepared breakfast, in addition to help and advice being given on local tourist attractions in the county known as the "Garden of England". 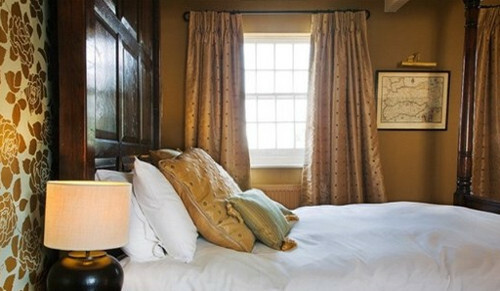 We have affordable and often more characterful alternatives to staying in larger Kent hotels. Use the form above to check availability and prices. 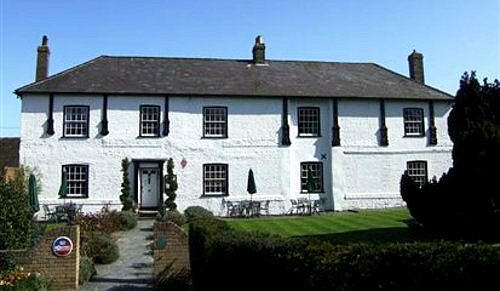 If there are no available rooms at present or if you simply can't find what you are looking for, you could try our sister websites, HistoricBritain or Britain's Finest. 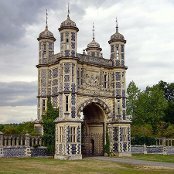 Kent is popularly known as the "Garden of England" even though it has many historic towns and cities such as Canterbury, Rochester, Tonbridge, Tunbridge Wells, Sandwich and the coastal towns of Medway. It picked up this nickname due to its extensive agriculture, orchards and hop farms. This area of Kent has been involved in many wars over the years, originally with the White Cliffs of Dover forming the first line of defence and in World War II with the skies above being the scene for the Battle of Britain against the Luftwaffe. 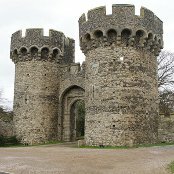 The historical importance of Kent as a point of defence provides many interesting attractions and points of interest. There are mediaeval castles throughout such as Hever, Scotney, Dover, Leeds and Sissinghurst with the latter also boasting gardens. Lullingston Villa is a Roman Villa that you can visit today, it gives great insight to life in Roman times and has mosaic floors. Canterbury Cathedral is a World Heritage Site. Chatham dockyard, responsible for building the HMS Victory - now in Portsmouth Historic Dockyards, is also a place to visit as building ships was a main income for the county. Royal Engineers Museum - The Royal Engineers Museum, Library & Archive is a military engineering museum and library. It tells the story of the Corps of Royal Engineers and British military engineering in general. Kent has its own international airpor, as well as being near Rochester airport and London Ashford airport. From these trains, buses and taxis run to the main cities. The main roads that run through Kent are the M20, M25 and M26 in the North and the M2. The A2 runs to Canterbury, but the motorways do not. London to Kent will be a journey time of an hour. Kent railways belong mainly to South Eastern rail services. London Waterloo is accessible from larger train stations, as are many of the other main destinations to and from Kent. From London Waterloo it will take around an hour to arrive in the county. All of the main towns have rail services, as well as the majority of the smaller ones and all run reliable services on a regular basis. The train is a quick way to travel and buying a rail card online is advisable if you will be using trains for the majority of your stay as it is cheaper this way. National Express has services that run through Kent. There are many bus services in Kent but the main services are Arriva and Stagecoach. Kent has been occupied since the Lower Palaeolithic times. During the Neolithic times the Medway megaliths were built and there is a large amount of Bronze age finds in excavations. Although now two miles from the sea, Richborough Castle was the Romans' main entry point when they invaded Britain in circa AD 43. Following the invasion of Britain by William of Normandy the people of Kent adopted the motto Invicta meaning undefeated and claiming that they had frightened the Normans away, as they merely used Kent to reach London. Once London was reached, the Normans ignored most of East Kent, due to the peasants attacking them at every turn. During the mediaeval period, Kent produced several rebellions including the Peasants' Revolt led by Wat Tyler and later, Jack Cade's rebellion of 1450. Canterbury became a great pilgrimage site following the martyrdom of Thomas Becket, who was eventually canonised in 1246. Kent also played a significant role in the English Civil War around 1648. By the reign of Elizabeth I (1558–1603) a small dockyard had been established at Chatham. The 18th Century was dominated with wars with France and the Medway became the prime position to base a fleet. Chatham Dockyard built over 400 naval ships including HMS Victory and 57 submarines, while also refitting ships. The keel for HMS Victory was laid at Chatham on 23 July 1759. During World War II, Chatham refitted 1,360 warships including HMS Ajax.